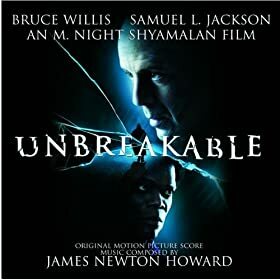 James Newton Howard scored this soundtrack. The dreamlike piano and string elements are juxtaposed to bassy horns and string dissonance, perfectly matching a story which sits on the line between real and supernatural. This is the quietest album I have ever heard. It sets you up perfectly for track 11, “Blindsided”, which you will be – I still am even after hearing it countless times and expecting it- in which the quiet is broken by a loud BANG. This is guaranteed to make your group JUMP! Careful use of this track will make any scary happening memorable. There are a couple of tracks that features a drumkit being played over the music giving it a more modern feel, which makes this album suitable for any “when” your setting takes place in.